China’s efforts to lift its population out of poverty have been the focus of widespread attention. The King and Queen began their morning at the Chinese Academy of Social Sciences (CASS) with a programme directed at welfare for all. 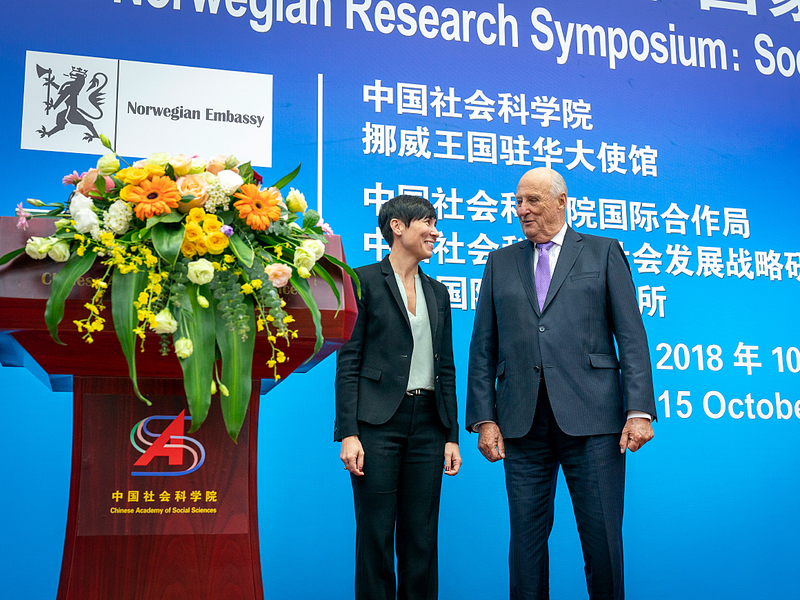 King Harald formally opened the first Sino-Norwegian Symposium for Social Disciplines, organised by CASS and the Norwegian Institute of International Affairs (NUPI). The symposium will be an annual event targeted towards the UN Sustainable Development Goals, with selected topics highlighted each year. The Beijing Olympic Park was constructed for hosting the 2008 Summer Olympics. Preparations are now in full swing for the Winter Olympics to be held here in 2022. The Chinese authorities are encouraging wider participation in winter sports, and a cooperation agreement will be signed on expanded Norwegian-Chinese cooperation in the period leading up to the Olympic Games. 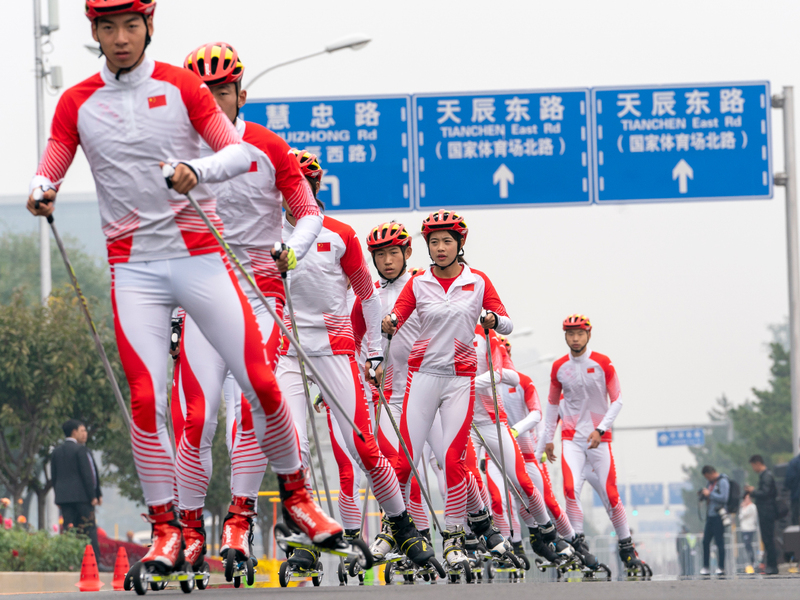 The cooperation was marked with roller skis and enthusiastic participation outside the famous sports venue of Beijing National Stadium, also known as the Bird’s Nest. 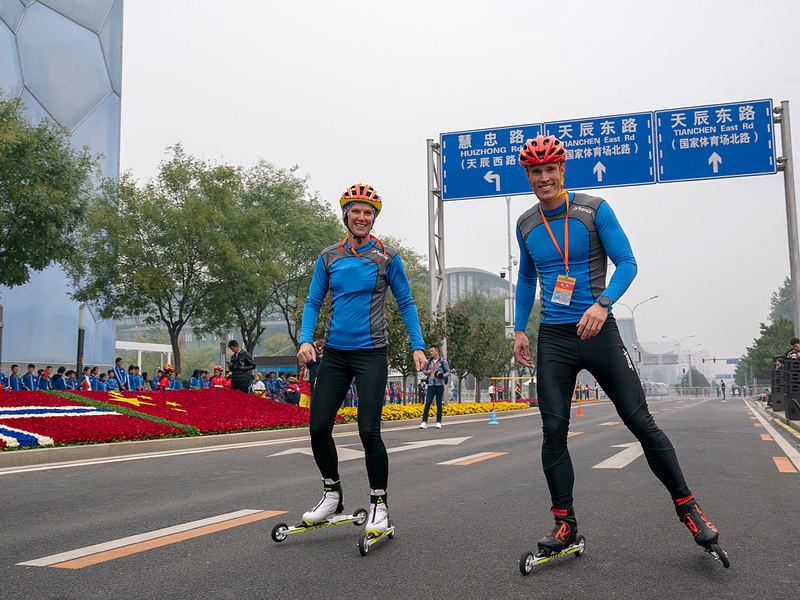 Nearly a hundred Chinese children tried roller skiing, with instruction and help from members of the Norwegian Confederation of Sports (NIF). 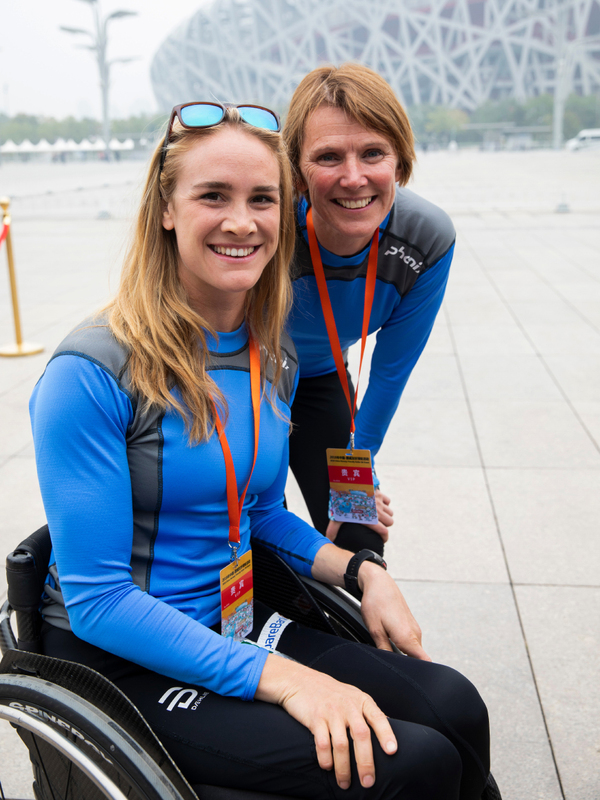 A number of accomplished Chinese and Norwegian skiers also demonstrated their skills, with the event culminating in a relay race with mixed teams of participants from both countries. Winter sports was also the topic of today’s luncheon, hosted by Chinese Minister of Sports Gou Zhongwen. 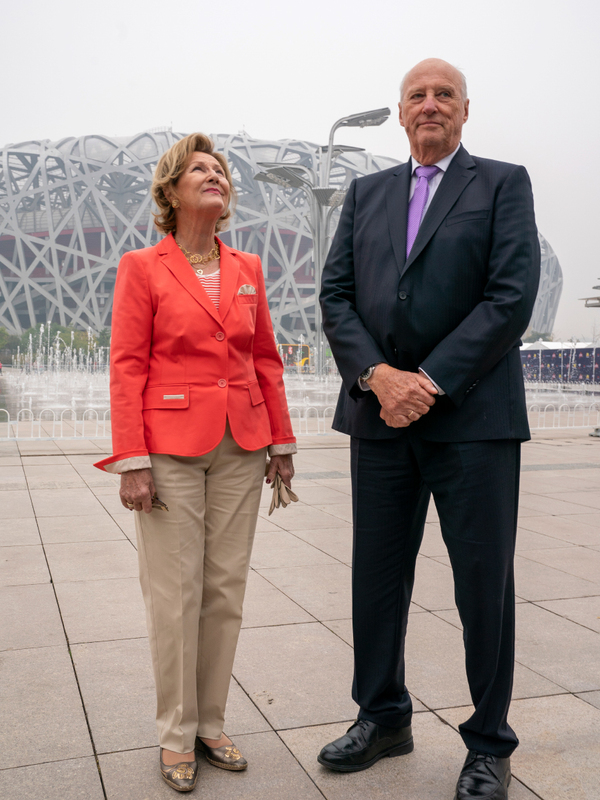 This evening local time, King Harald and Queen Sonja were the hosts of a large Norwegian-Chinese friendship dinner. 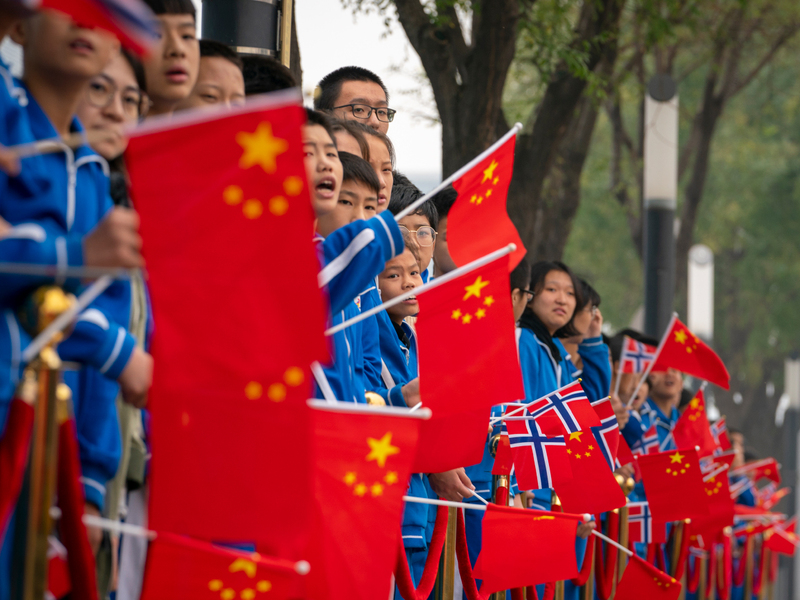 The dinner was attended by some 300 guests who are involved in activities of importance to cooperation between Norway and China in the political, social, business, academic, sports, cultural and media spheres. The event was designed as a cultural and culinary meeting place, with the ocean as the common denominator. It was a memorable evening that featured both Chinese and Norwegian cultural figures. The guests were able to enjoy performances by young practitioners of Thai Chi and Kungfu as well as singers and musicians. 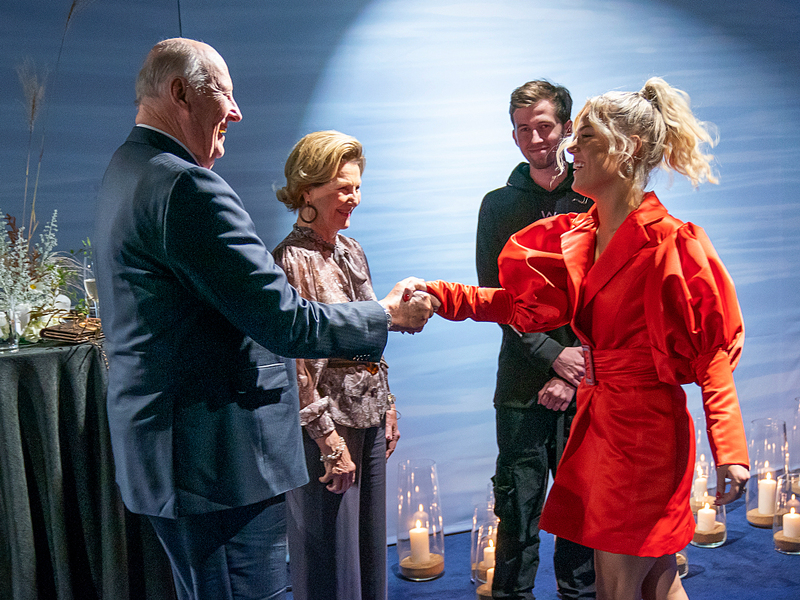 Queen Sonja gave a speech welcoming the guests and was particularly pleased to introduce, among others, the baritone Liao Changyong, who won the Queen Sonja International Music Competition in 1997.